The centromere is a chromosomal region that enables the accurate segregation of chromosomes during mitosis and meiosis. It holds sister chromatids together, and through its centromere DNA–protein complex known as the kinetochore binds spindle microtubules to bring about accurate chromosome movements. Despite this conserved function, centromeres exhibit dramatic difference in structure, size, and complexity. Extensive studies on centromeric DNA revealed its rapid evolution resulting often in significant difference even among closely related species. 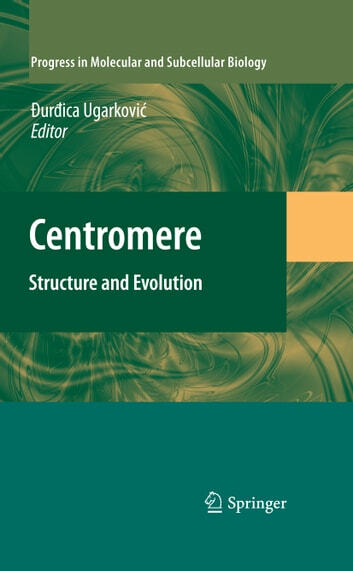 Such a plasticity of centromeric DNA could be explained by epigenetic c- trol of centromere function, which does not depend absolutely on primary DNA sequence. According to epigenetic centromere concept, which is thoroughly d- cussed by Tanya Panchenko and Ben Black in Chap. 1 of this book, centromere activation or inactivation might be caused by modifications of chromatin. Such acquired chromatin epigenetic modifications are then inherited from one cell di- sion to the next. Concerning centromere-specific chromatin modification, it is now evident that all centromeres contain a centromere specific histone H3 variant, CenH3, which replaces histone H3 in centromeric nucleosomes and provides a structural basis that epigenetically defines centromere and differentiates it from the surrounding chromatin. Recent insights into the CenH3 presented in this chapter add important mechanistic understanding of how centromere identity is initially established and subsequently maintained in every cell cycle.